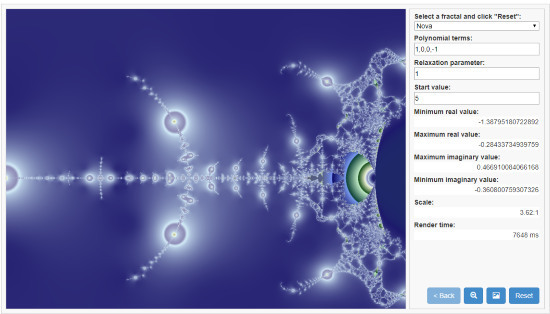 Here are some of the best online Fractal Generator Websites. These online tools let you generate different types of fractals by entering various parameters manually. If done right, you can generate amazing fractal art using these tools. One of these tools even lets you generate fractals from images. To make fractals using these tools, all you need is a bit of practice and iterations. After designing a fractal, the fractal art generator websites let you easily save them to your PC. You may want to give these Fractal Art Generator Software and Fractal Art Generator Software for Windows. 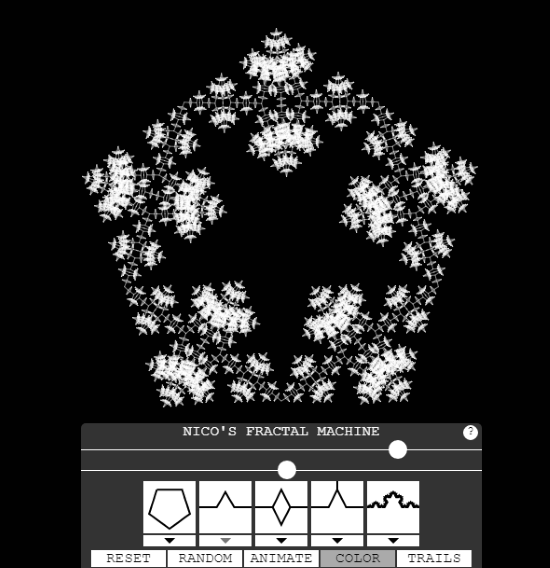 Online Fractal Generator is an online fractal generator that lets you generate up to 10 types of fractals. You can create fractals such as: Mandelbrot set, Quadratic Julia set, Multibrot set, Rational map, Newtonian fractal, Phoenix fractal, etc. For each fractal type you select, you get to set parameters manually to generate fractals. Play around with the values to generate fractals of your choice. You can also zoom in and view a generated fractal. There is an option to save the generated fractal as image as well. Fractal Machine is a dedicated online fractal art maker website. It lets you make fractal design with various shapes. As you can see, there are different shapes on the interface to select. There are two sliders as well that let you set fractal angle and skew angle. There are options for you to generate random fractal, animate fractal, change fractal color, and show trails of fractal animation. If you want to save fractal to PC as image, simply right click on it, and click on Save Image as option. 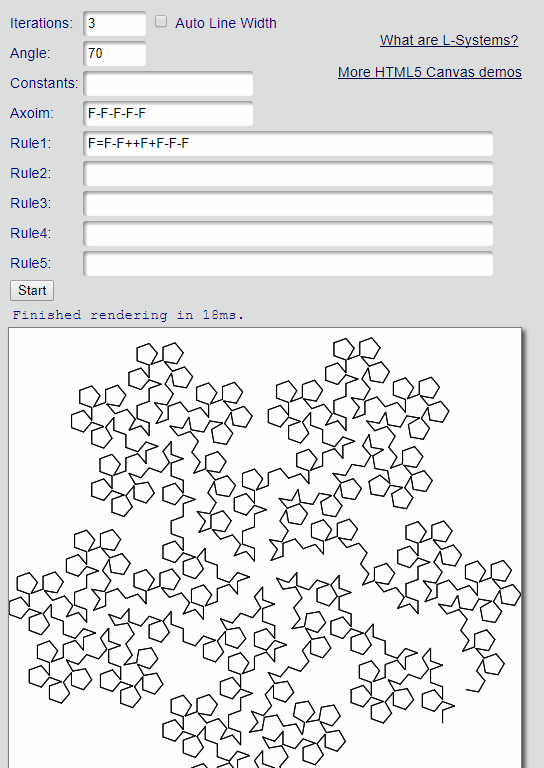 Make your own fractal using this tool here. Make Fractals of Images is a unique fractal generator which lets you generate fractals from images. You can upload an image from your PC, and this tool will let you generate customized fractal image. After you upload an image, you can pick its Julia Point by clicking on the preview. After that, you get the options to set background color of fractal, change image position, set orbit trap size, and degree of polynomials. 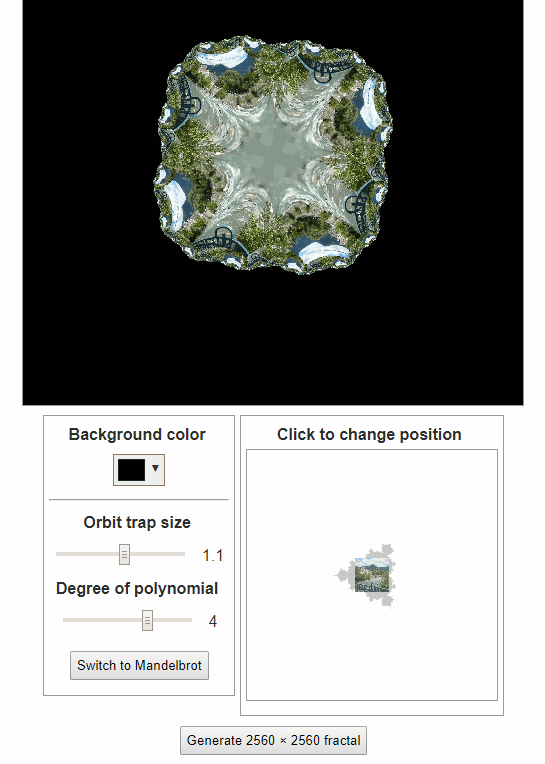 You can also switch to Mandelbrot fractal method from Julia method (set as default). Play around with the parameters till you get a desired fractal output. When done, click on Generate 2560 x 2560 fractal button to render the fractal and download to your PC. This online tool is available here. Turtle Graphics Renderer is a fractal generator for the pros. It doesn’t have any slider for you to set values or immediate shapes to choose from. You need to put various parameters manually to generate fractals on your own. The parameters that you need to set are: Iterations, Angle, Constants, Axiom, and Rules. After entering values, click on Start button to render the fractal. There are also certain examples available on the right side of the tool. You can pick any of these examples then change values of the parameters manually to modify them. To save a generated fractal to your PC, simply right click on the fractal image and save the image. 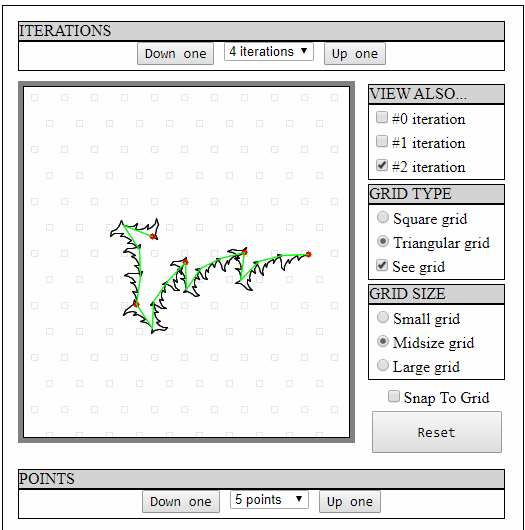 If you want to generate Fractals online, these online tools will come in handy. You can create beautiful and out of the world designs using these online tools in a jiffy.